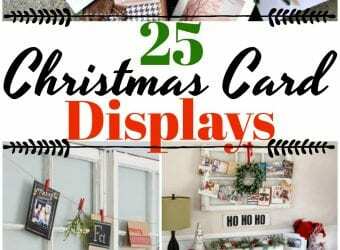 We are back with another fun way to decorate for the holidays. 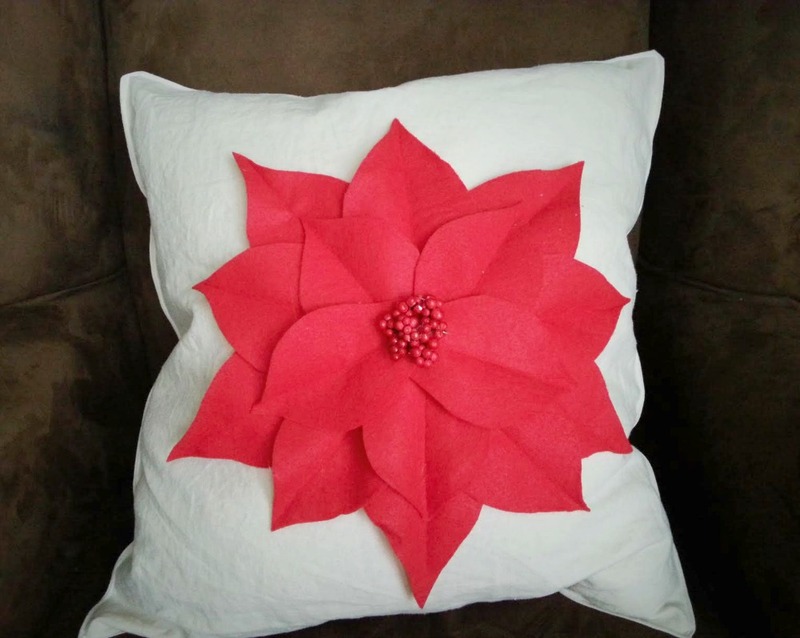 We all know how Poinsettia's are available in abundance around Christmas. They are bright, festive and pretty much look good anywhere. 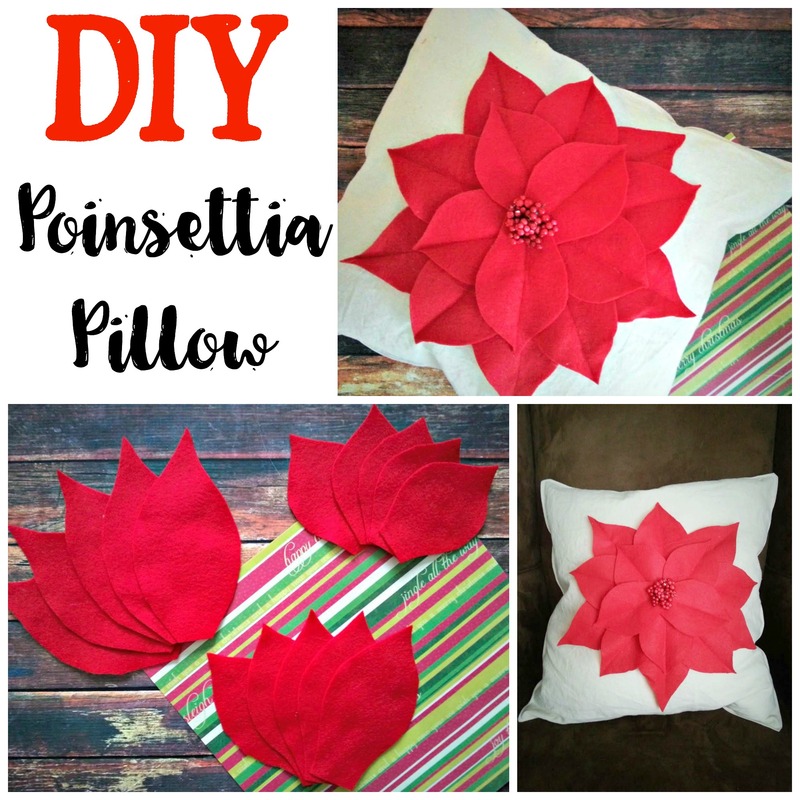 This pillow is so cute and can be quickly made with just a glue gun or if you have a sewing machine, you can sew the petals instead. 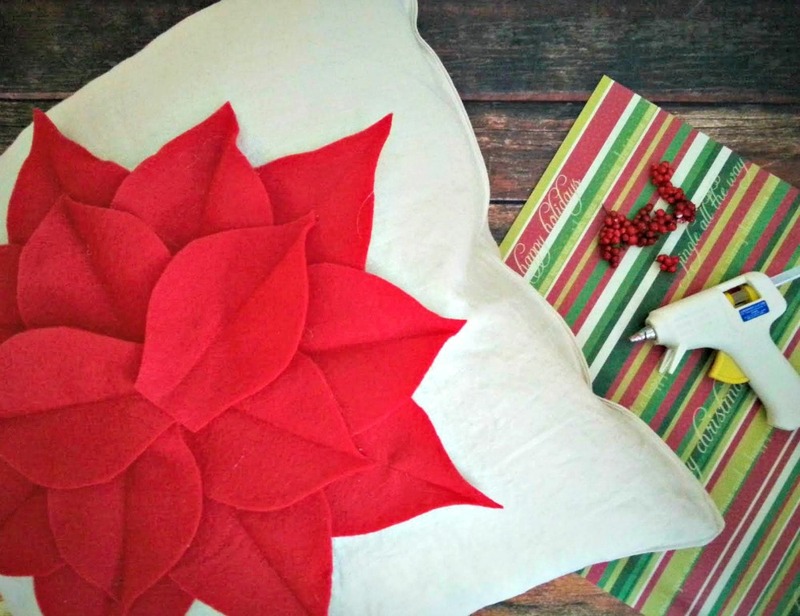 Although we made a Poinsettia Pillow, this pillow would look great year round and can even be made in various colors. My daughter just asked for two pillows in pink to put on her bed. 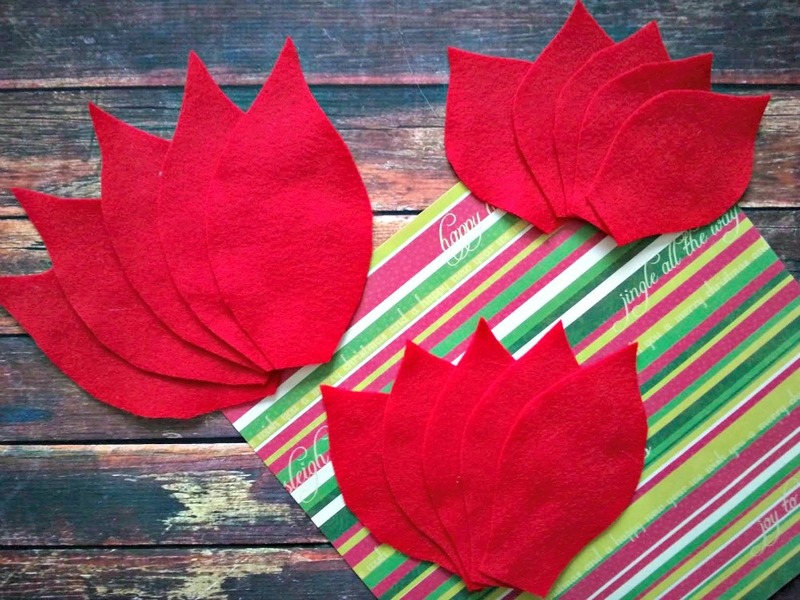 Cut out five leafs of each size from your red felt. 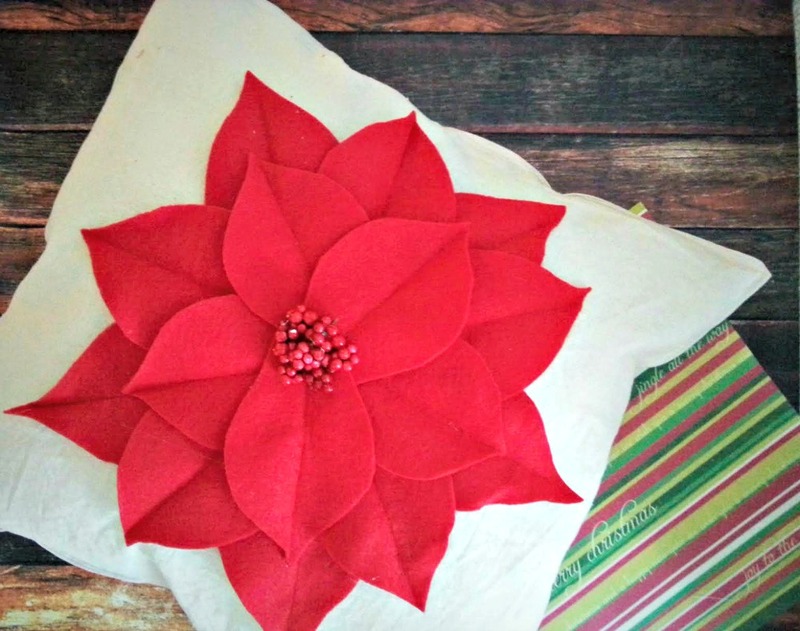 *This part is optional, but I folded each leaf in half and pressed with and iron then sewed down the center with red thread, to achieve the look of a poinsettia leaf. 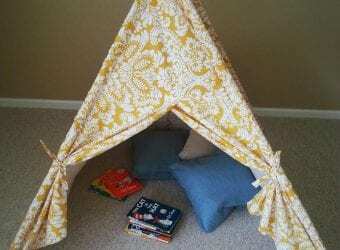 Using your hot glue gun, run a bead from the top to the bottom of the leaf and press down on your pillow. 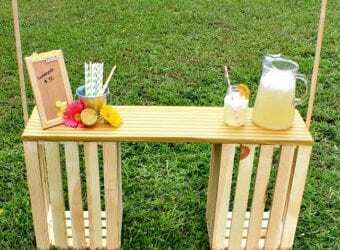 Arrange your medium size leafs and do the same, and repeat with the small leafs. 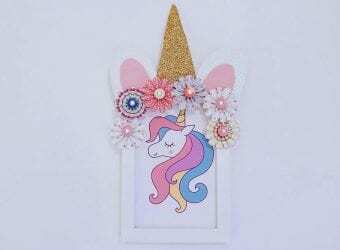 Use your hot glue gun and glue down your embellishment for the center of your flower. 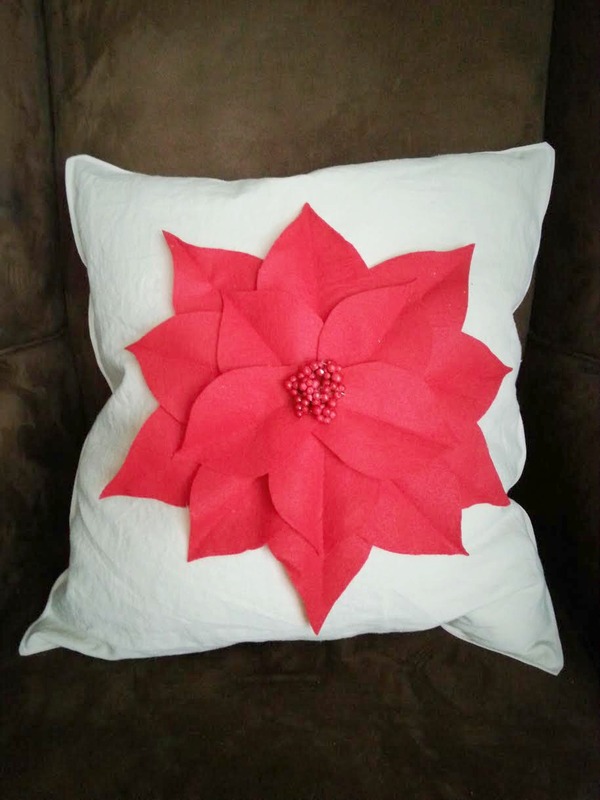 Now your pillow is complete. 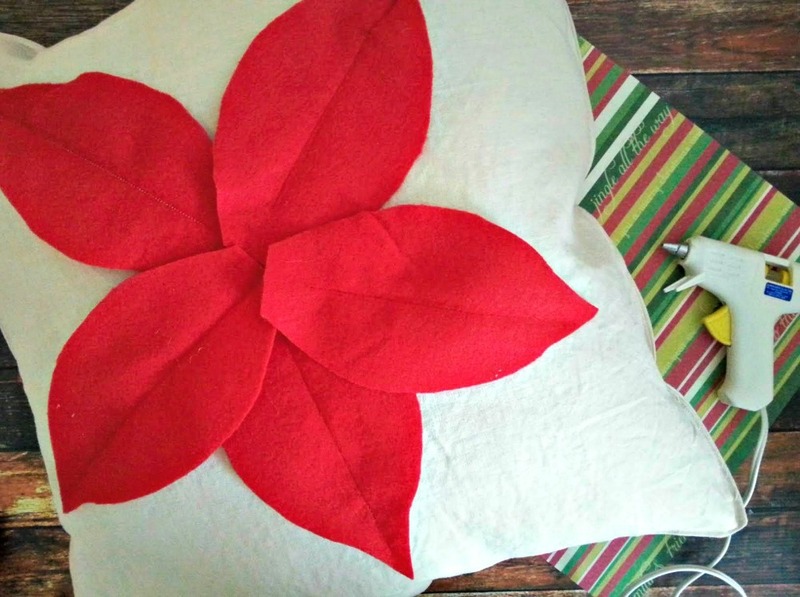 Make two pillows to festively decorate your sofa or any other place or give as a gift.